Super foods unite! This salad is unbelievable! The flavors all blend well together and the avocado sauce has the perfect amount of kick! I really enjoyed making this because it has a lot of my favorite foods to cook and eat! It was the perfect size for two people; my husband and I polished if off! Prepare the quinoa as per packed directions. Set aside to cool. Spiralize sweet potato onto baking sheet. Season with 1 tablespoon olive oil and ½ teaspoon salt. Bake at 400 degrees for 25 minutes. 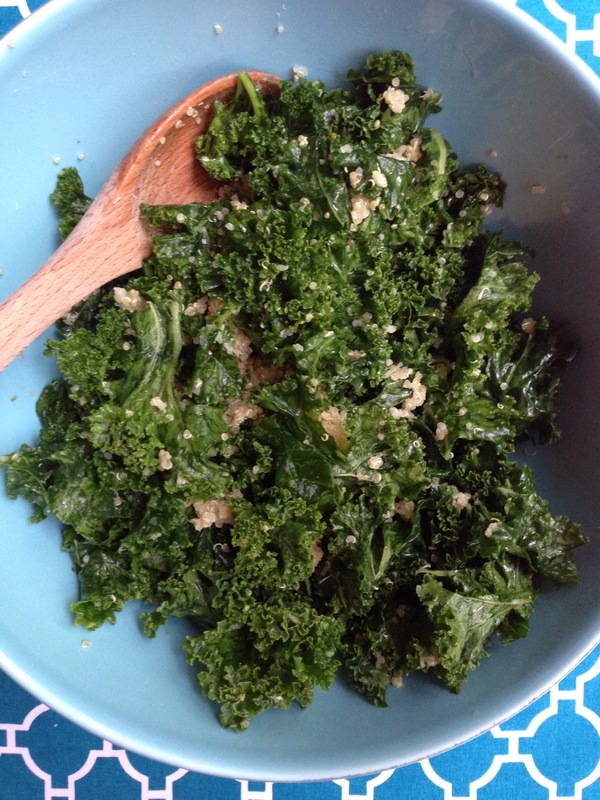 Place kale in serving bowl and season with salt. Then massage kale with hands for 1 minute in order to really blend the salt. Whisk together 1 tablespoon olive oil, juice from ½ lime, and lime zest. Drizzle over kale. Set aside. Add avocado, ½ jalapeño pepper, cilantro leaves, juice from ½ a lime, lime zest, and salt to a food processor and blend well. Add cooled quinoa to kale, stir to combine. Distribute the kale to plates and top with sweet potato, black beans, and avocado sauce. It looks super healthy and delicious!